Jeanneau dealer satisfaction: what's your experience ?? Am interested to learn your satisfaction with official Jeanneau dealers when buying a brand new motorboat. 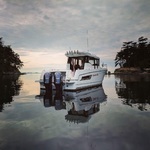 "Jeanneau has a vast network of dealerships located in over 80 countries. This network guarantees each customer the professional advice and exemplary service that he or she has the right to expect from a large shipyard. Jeanneau dealers are your preferred contacts, able to answer all your questions concerning the purchase of a boat, as well as assisting with after-sales service requests, spare parts and answering technical questions." Would you please share ?? We have bought 2 Jeanneau's from Clarke and Carter in Suffolk. Very knowledgeable, helpful and professional at all times with excellent after sales. I have also used Sea Ventures in Hampshire and again their team is exemplary and knowledgeable and finally when we were based in Wales the team at Network Yacht Brokers in Swansea were great for information and assistance. We purchased a new Jeanneau SO36i in 2007 and a used SO42DS in 2012 from Performance Boating, the agent in Sydney, Australia. We have no complaints at all. Good service, no pushy sales technique, very knowledgable, good spares support, nice folks. 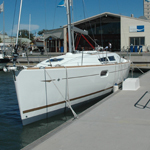 Hi, I purchased a new SO36i from the Jeanneau dealer in Melbourne in 2012. Very good service and support with good communication while the boat was being built/shipped. Quick commissioning and efficient resolution of several very minor warranty issues. But dealerships can vary, worth speaking to people who have used the dealer you are interested in. was perfect! Moreover has been a great support for any need! I strongly raccomand!!! 1. On the first boat, it was sold without swim ladder, transducer, chart plotter, rear navigation light and some other things I am forgetting. There was no service department so the salesman and the GM put these on. (The navigation light never got installed). It was great that they did that for us, but felt unprofessional. We were missing items included in the premiere package like the canvas awning. We never did receive the awning (it was lost in the fire ??) but they did give us a small credit in the retail shop when we traded in for our next boat. 2. Second boat: We were supposed to have an extended 3 year warranty on the engines. The paperwork never got filed for the extended warranty. Luckily, I kept the sales agreement as proof but according to Yamaha, the engines do not include the extra 3 year warranty. The boat did not come with a navigation light installed which was an oversight. The service manager is near impossible to get ahold of. Voice mails and text messages are ignored. This was an issue when our fuel system had a venting problem and needed service urgently ( the gasoline would spray out of the gas tank when fueling, emulating old faithful with the magnitude of the back pressure). We were almost banned from the fuel dock due to spilling fuel in the ocean. Very embarrassing. Several phone calls later, the problem was fixed. 3. Boat # 3. This boat has not been delivered yet. But the service shop is fully up and running so I hope this experience will be more professional. I really love Jenneau boats and I really like the General Manager. So, I will continue to do business with his dealership and hope that the experience is smoother this time around. My new 605 was handed over in May of this year, from an official Jeanneau dealer here in The Netherlands. Didn’t know this dealer beforehand, but was recommended to me by Jeanneau’s rep in The Netherlands. Boat design and construction are fine: it’s a great product. Dealer attitude and after sales service turned out disgraceful, at times even insulting. didn’t notice their proclaimed ‘exemplary service’ at all. Thankfully, engine manufacturer’s service was excellent. Would I recommend others to buy a new Jeanneau motorboat? ONLY if you know the dealer VERY well, otherwise don’t ! Our dealer tries pretty hard to satisfy their customers but there are issues with the chain of responsibility for items used on Jeanneaus but manufactured by others. For example, sailing instrumentation can be provided by 3 different manufactures - the dealer has to first find if head office will cover a particular warranty item and then contract with the local company rep for that item and get them to do the necessary investigating/servicing. Hence, client satisfaction is now controlled by a subcontractor other than Jeanneau and the result is only as good as the dealer's efforts to oversee the subcontractor. Buying used Jenneau's from brokerage... I wouldn't expect any lesser service from a main dealer for either a new or used boat! NYB Swansea came out top in trying to ensure they sorted me out. Alas the deal fell through due to a seller constantly changing his mind. Although Sea Ventures sold me a boat some years ago when it came to me upgrading they let themselves down badly. Poor communication and follow up left me feeling out in the cold. Black Rock did sell me my latest Jeanneau and I would love to say it all went well but the efforts of one particular partner in the business was less than obliging. Believe this situation has now resolved itself. Experiences have been different for sure depending on the dealer, and you don’t have much of a choice given most regions only have one Jeanneau dealer. I've found issues are a combination of both Jeanneau and the dealers, but most of the issues lie with dealers. In the Northwest its been a rocky journey for most owners dealing with Sundance Yacht Sales. Some of the issues have been due to growing and moving pains, and even a big fire at their Portland shop three years ago, but the way I look at it the buck stops with the owner of the dealership to run their business. In the case of Sundance there is a lot of talk and promises, but little follow through so owners are left to constantly call for updates and get excuses. I’ve raised issues to owner, his son, sales GM, shop manager and Jeanneau NA president and did received a call from Jeanneau and the follow-up has been pretty good, and I also got a call from the owners son and we agreed a lot of their issues are due the lack of follow-up and communications. Unfortunately, I’m yet to hear from him on an outstanding issue with my hydraulic steering and feel like our conversation fell on deaf ears. I pretty much know most of the sales, GM, shop manager, and technical guys at Sundance and while they are good folks, until the owners make a commitment to focus more on the customer experience and satisfaction, and manage their business from sales through delivery and warranty, current and future Northwest owners will continue to be frustrated with their dream purchase experience. With all that said, I like what Stacey (canusa) has on her profile "Buyers remorse is temporary. A Jeanneau last forever." In this case "Your purchase experience is temporary, but the Jeanneau last forever!"